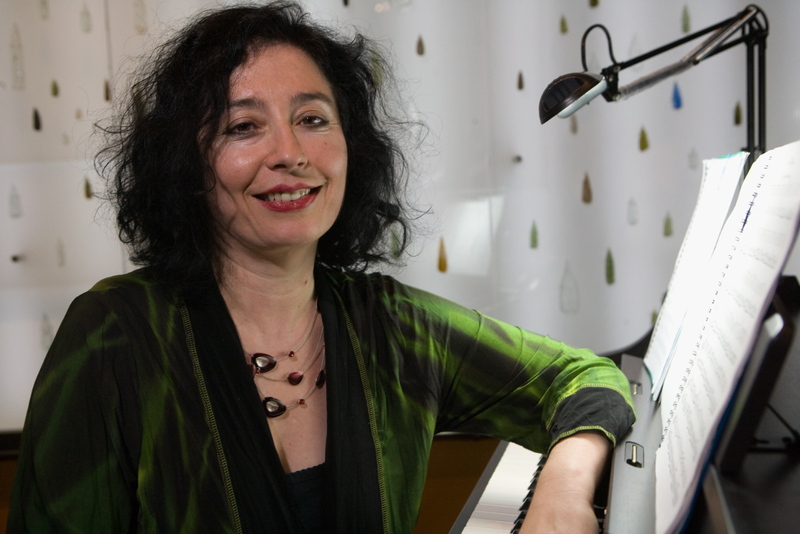 This week debussycat had the chance to speak with Elena Kats-Chernin about her upcoming concert with the Strathfield Symphony Orchestra (tonight and tomorrow night at the Strathfield Town Hall – for more info click here). A household name in Australia, Elena Kats-Chernin is one of our nation’s most celebrated modern musicians and leading composers whose output includes orchestral works, operas, chamber and solo pieces, as well as music for dance, film, and theatre. The Strathfield Symphony Orchestra commissioned Kats-Chernin to compose the Redmyre Suite in 2009 to celebrate its 40th anniversary, and it has been revised for these concerts. You can view the programme here and book tickets here. It goes without saying that the life of a composer is intensely creative and solitary in some respects. Kats-Chernin tells me she spends days composing millions of little notes and making constant changes to her work. Requiring only her piano, her manuscript paper, a pen and her mind, Kats-Chernin’s compositions are highly original and spontaneous, reflecting her unique idiom and personal history. Once upon a time, she might have cited Ravel and Bach as influences, however these days she draws inspiration from just about anything, whether ‘a conversation, a story or even something she has eaten’. I have to ask Kats-Chernin what it is like to be a composer in Australia. Did she ever consider moving elsewhere? Her answer is a resounding “no” – Australia is and always has been the place for her. She laughs and tells me that composers are not fond of change. Constantly busy with new compositions, Kats-Chernin is glad to be surrounded by friends and family here in Sydney. During our interview, Kats-Chernin reveals a little of her thinking behind the Redmyre Suite. I am intrigued to find out that the Redmyre Suite, named after Redmyre Street (being the street on which the orchestra meets for rehearsal every week) is inspired by the Orchestra itself. Kats-Chernin seeks to pay tribute to its members past and present, as well as the noble sacrifice of amateur artists who meet and practice in their free time, all for the love of music. In short, the Suite is a celebratory piece inspired by community and place. Tonight I will be listening for Kats-Chernin’s characteristic rhythmic pulsation and distinctive melodic/harmonic language as well as the celebratory brass chords that she tells me will open the final movement. She also tells me to listen for the sound of ‘trains hurtling along the tracks’, reminding the audience of Strathfield’s famous train station – a significant and central landmark for community members both within and without Strathfield. Finally, whilst Kats-Chernin’s inspiration these days is very much the fruit of her own ideas and personal experiences, there are a handful of references to Chopin and Bach in the Redmyre Suite. Whilst the references to Bach are more overt, you will have to listen more closely for motifs inspired by Chopin’s Etude No. 3 in the opening movement. The proceeds of the concert will be used to buy a rowing machine for Rivendell, Adolescent & Family Mental Health Services at Thomas Walker Hospital, Concord. For Elena Kats-Chernin, the cause is one close to her heart as her middle son Alex suffers from schizophrenia. Rowing for Rivendell will be a unique opportunity to witness one of Australia’s most famous musicians perform and hear the much anticipated revised Redmyre Suite. Book now to experience Kats-Chernin’s celebrated music and contribute to a cause that is close to her heart. ChorusOz is an exciting opportunity for choristers from across Australia and abroad to come together in an annual choral weekend and bring to life one of the greatest works in choral repertoire. The results are always spectacular. Bass Warwick Fyfe is a soloist who will be performing Beethoven’s Missa Solemnis with this year’s ChorusOz on Sunday 12 June 6pm at the Concert Hall of the Sydney Opera House. To register to be a part of this year’s ChorusOZ click here. To book tickets click here. Q1) Have you performed this work before? If yes, which movements do you think the audience will enjoy the most? If no, what are your thoughts about doing this piece for the first time? I have never performed this work though it has always loomed in my mind like a mighty, distant peak visible through the mists. Performing it for the first time will be an opportunity to immerse myself in a work which has daunted some great conductors as being almost too sublime to approach. I have had epiphanic, coup de foudre moments with great works when I’ve heard them, as a humble audience member, for the first time live, as distinct from on CD. Some works only reveal their treasures when one has abided with them for a good while. Be that as it may, having only ever listened to the Missa Solemnis on CD, I feel it is a work I’ve yet to experience properly. Q2) What do you think about standing onstage with a chorus of 800 voices? I expect it will be a mighty sound! I was in a similarly proportioned chorus in 1988 when I was involved in a Mahler 8 in Canberra. Q3) From your perspective how does Beethoven stand in the context of full choral repertoire? If he’d written nothing for concerted voices but the final movement of his 9th Symphony, it alone would have qualified him to be regarded as one of the Titans of choral writing. But then there’s the vastly proportioned testimony of the Missa Solemnis too. As a singer, I can see the justice of the criticism that his writing for voices is sometimes awkward, but the effect is sublime. Q4) What are your impressions of the ChorusOz public choral training programme? Based on the Mozart Requiem I was a soloist in a few years ago, I sense an enthusiasm from the participants so strong it bubbles over. Nothing could be more salutary for the health of society than such an intense engagement with high art. Born in Sydney, Mathisha Panagoda began learning the cello at the age of four. 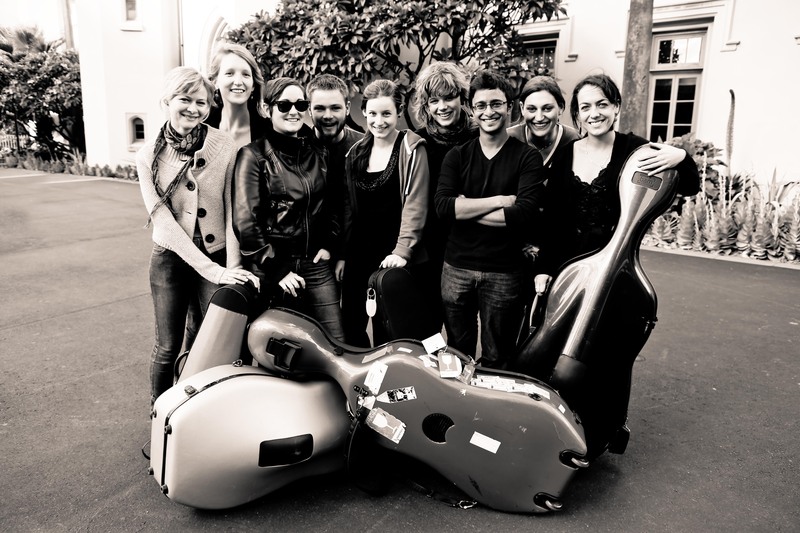 This week, debussycat conducts a Q&A with Australian cellist Mathisha Panagoda. Mathisha is the Founder and Artistic Director of the Sydney Camerata, recipients of the 2010 Musica Viva Award for Chamber Music. He is the cellist of the Silvaner Ensemble, a winner of the 2011 YouTube Symphony Orchestra and blogs for ABC Limelight Magazine. 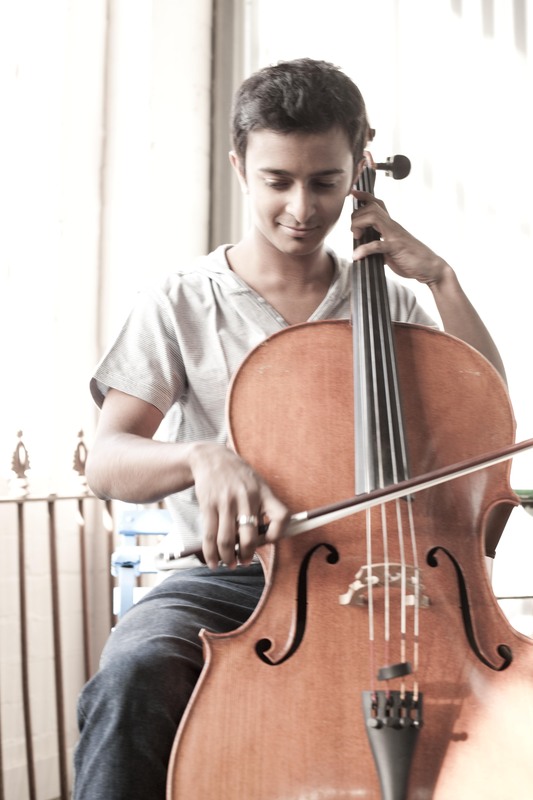 Born in Sydney, Mathisha Panagoda began learning the cello at the tender age of four. He completed a Bachelor of Music (Honours), studying under Danish cellist Georg Pederson at the Sydney Conservatorium of Music and holds a Juris Doctor in law from the University of Sydney. Mathisha has performed as a member of the Melbourne, Queensland and Sydney Symphony Orchestras as well as the Australian Youth Orchestra. In 2009 he was the recipient of a Symphony Australia National Fellowship. Mathisha has travelled the world with his cello. As principal cellist and a soloist of the SBS Radio & Television Youth Orchestra, he toured Europe, Russia and Hong Kong. As a member of the AYO, he has participated in two international tours to Europe and Asia performing at festivals including the BBC Proms (one of the world’s greatest classical music festivals). In Japan, Mathisha was selected as an academy member of the Pacific Music Festival and just last year he was invited to perform with the Aldeburgh Strings, a new international string orchestra based in the UK. What inspired you to form Sydney Camerata? I was inspired to form Sydney Camerata to provide opportunities for musicians at a similar stage in their careers to me. In my final year of study at the Sydney Conservatorium, I was looking for more opportunities to gain practical experience- in particular in an ensemble inspired by groups such as the ACO where the style of working is a close nexus with chamber music. I was fortunate to have some friends who shared a similar desire and together we began to plan some concerts that have developed into our Sydney Camerata concert series. What is the group dynamic like? The group has a very unique dynamic for a number of reasons. All the musicians are highly trained and talented so they bring with them a refined set of skills. The musicians are all ‘young’ (generally between 20 and 30 years of age) and come with a fresh, modern day approach to classical music. Being young and talented, many of these musicians are on the cusp of professional careers. For many of them, playing with Sydney Camerata is an exciting opportunity to work independently of the confines of an institution or symphony orchestra. Everyone is there for the love of music, they work as professionals and have a lot of fun along the way. For this reason the dynamic of the group is one of great enthusiasm, energy and excitement. We rehearse in intensive periods, not only because we find this the most effective and efficient method, but many of our musicians also fly from interstate to play with us. Usually musicians will be posted music a few weeks prior to rehearsals commencing so they can prepare their parts. We will generally begin rehearsals 4 or 5 days prior to a performance. The first day will usually be sectionals and rehearsals for principal players to discuss technicalities such as bowings and musical ideas. We will then spend a few days rehearsing daily to put the program together. I’ve been enjoying your posts on Limelight Magazine. What kinds of things do you think your readers are most interested in? The purpose of my blog is to follow my journey as a young musician in Australia. I think my readers like to hear about my personal experiences and thoughts in relation to music. Many are very interested to hear about the sorts of opportunities young people have in this country and I’m delighted to be able to share my experiences with them. Probably Beethoven 9 or Brahms 4 but I also can’t go past Shostakovich and Dvorak Symphonies. What’s your favourite type of classical music? Very difficult question but I’m particularly into chamber music, string orchestra music and large symphonic music. More recently I’ve started exploring more contemporary composers such as Golijov and Vasks. An impossible question but if I had to narrow it down it would probably be either Beethoven, Brahms or Tchaikovsky but there really are too many more to name! What do you think makes classical music special? What makes classical music special is its ability to transcend reality and transport the listener to another place. It’s often an intellectual exercise unique in that it involves three people- the composer, performer and listener. These three people can be from different parts of the world and have lived in different eras yet their synthesis creates something new every time. The thing that I love most about classical music is that it’s an endless journey of discovery. I listen to a lot of other styles of music and while I will enjoy but be sick of a pop song in a matter of weeks, there is so much to discover in most pieces of classical music that they stay with you for life. How do you think the digitalisation of media will affect classical music in the future? The digitalisation of classical music will help it to reach new audiences and transcend formalities that have often turned people away from it. You no longer have to dress up and pay a lot of money to go to a concert hall to find yourself sitting in the back row. I watched the Berlin Philharmonic in my pyjamas in my bedroom via their Digital Concert Hall online last week. Still nothing beats a live performance for me, but the digital era has the potential to breathe much needed fresh air into classical music. Gina Ismene Chitty is an Australian pianist, composer and author. debussycat had the opportunity to interview her and discuss her latest book. Dr. Gina Ismene Chitty, primarily an Australian classical concert pianist and composer, has performed in the USA, West Germany, India, Australia and Sri Lanka. She was a winner of a Tchaikovsky Piano Competition held in Sri Lanka and was awarded a scholarship at the Moscow Conservatorium. However, a family diplomatic appointment took her to Washington D.C. where she graduated with a B. Mus majoring in piano performance from the George Washington University. She continued her postgraduate work at the American University and later at Sydney University. Gina was awarded a Ph.D at the Contemporary Music department at Macquarie University in Sydney in 2006. She has performed at various venues in Washington DC, with solo piano performances at Meridian House International, George Washington University and recorded performances on WGMS, Washington DC Radio Station. In Sydney she has had performances of her compositions, as well as major works by well-known composers. Gina has performed as a soloist playing the piano concerti of Beethoven, Liszt and Rachmaninoff. Dr Gina Ismene Chitty: Australian pianist, composer & author. Gina’s research for her Ph.d involved analysing Afro Lusitanian music genres in diasporic communities, with a focus on the Sri Lankan diaspora in Sydney, and their ambivalent attitudes toward the dance and music forms of the hybrid baila. Baila is a genre of popular dance music which originated among the Kaffir people (a group whose ethnicity comprises a blend of Portuguese, African and native Sinhalese). Gina outlines the engagement of diasporic communities with the music of their homeland in her book Public Postures, Private Positions. This book includes some of the findings of her doctoral research. The book was released in 2010 and focuses on an interesting sociological perspective, hitherto never addressed in academia. Sydney Sri Lankans are a diverse community, and Gina has a field day analysing and studying the often ambivalent and surprising attitudes of this group towards the baila genre. The more anglicised Sri Lankan migrants and the less anglicised migrants have contrasting and different attitudes and ideas about the baila, as do their offspring. Public Postures, Private Positions is an amusing and interesting engagement of diasporic communities with this particular strand of music of their homeland. Gina is presently writing a book The Transitional Motifs in the Late Piano Sonatas of Beethoven as well as a book about Sri Lanka where she addresses the very early years of her childhood, with anecdotes about the quaint community of academics in the University of Peradeniya where her father, Senator Doric De Souza and mother Violet de Souza (former head of the University library) were domiciled. Public Postures, Private Positions is available from Amazon here and is a must have for sociologists and ethnomusicologists.